Flip-Dot displays are so awesome that they’re making a comeback. But awesome is nothing when you can have an insane flip-dot display that is three-dimensional with the dots floating in mid-air. Researchers at the Universities of Sussex and Bristol have built what they call JOLED, an array of floating pixels that can be controlled via a combination of ultrasonic standing waves and an electrostatic field. These “voxels” can be individually moved in space via ultrasonics, and can also be individually flipped or rotated through any angle, via the electrostatic field. The key to the whole thing is something they call Janus Objects – hence JOLED. Janus particles have different features or chemistry on two opposite sides. A portion of each voxel is speckled with a small amount of titanium dioxide nano powder. This gives it a bipolar charge that makes it respond to the variable electrostatic field and hence capable of axial rotation. Half of each white voxel can then be covered with a contrasting color – red, blue, black – to achieve the flip dot effect. Each voxel appears to be a couple of millimeters in diameter. The ultrasonic actuators appear to be regular piezo transmitters found in every hacker’s parts bin. Transparent glass plates on opposite sides apply the variable electrostatic field. While this is still experimental and confined to the research lab, future applications would be interesting. It would be like breaking e-ink displays out of their flat glass confines and giving them a third dimension. The short, two-minute video after the break does a good job of explaining what’s going on, so check it out. Now, who want’s to be the first to build a JOLED clock? Thanks to [Garrow] for tipping us off about this. Humans historically have worked well with decimal numbering systems. This is probably due to the fact most of us have ten fingers, which make counting in base ten easy. Yet humanity seems to doggedly stick to the odd duodecimal/sexagesimal time system. [Danjovic] is bringing a bit of sanity into the mix with a decimal clock he calls DC-10. He’s entered his clock into our 1 kB Challenge. DC-10 builds upon C10, the decimal time display system created by [KnivD] on Hackaday.io. 1 tick = 0.0864 current seconds. [Danjovic’s] implantation displays intervals and centivals, exactly what you would need to know the current time of day. He used a Microchip PIC16F628 running from a 4 MHz clock. time is displayed on seven segment LEDs. The PIC is programmed in C, using the classic version of Microchip’s own IDE: MPLAB 8.92. The code uses 297 program words. Since the ‘628 uses 14-bit instructions, that equates to just under 520 bytes. Perfect for the 1 kB challenge! I used to have access to some pretty nice Scanning Electron Microscopes (a SEM) at my day job. While they are a bit more complex than a 3D printer, they are awfully handy when you need them. [Adam Guilmet] acquired a scrapped unit and started trying to figure out how to breathe life into it. His realization was that a SEM isn’t all that complicated by today’s standards. So he has set out to take what he has learned and build one from scrap. In all fairness, he has a long way to go and is looking for help. He currently says, “[T]his is being powered by fairy dust, unicorn farts, and a budget that would make the poorest of students look like Donald Trump.” Still, he’s collected a lot of interesting data and we hope he can build a team that can succeed. Last time, I talked about how my storage situation and my cheap nature led me to build an RC joystick controller with a cell phone app and an ESP8266. The key to making this easy was to use the GUI builder called Blynk to make a user interface for an Android or Apple phone. Blynk can communicate with the ESP8266 and makes the project relatively simple. The ESP8266 Blynk code is straightforward. 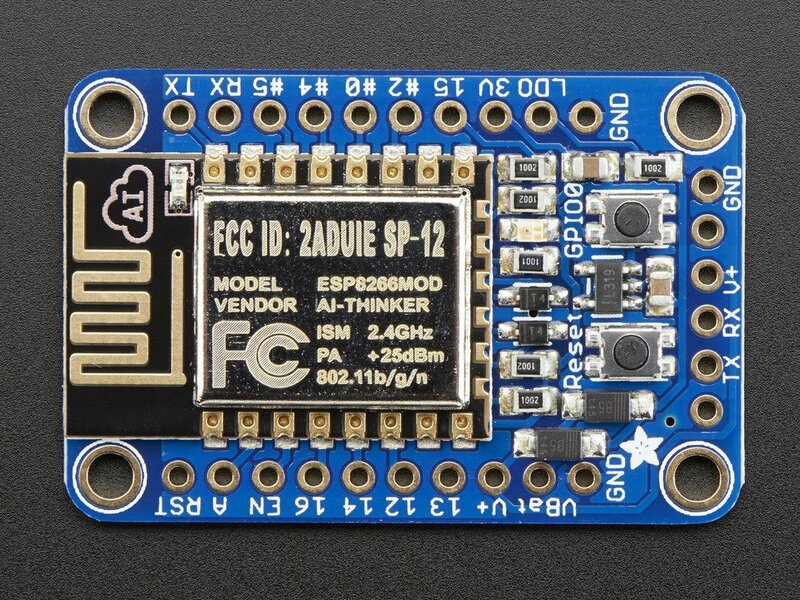 You do need to set up the Arduino IDE to build for the ESP8266. That can vary by board, but here’s the instructions for the board I was using (from Adafruit; see below). Depending on the type of ESP8266 device you are using, you may need a 3.3 V serial cable or some other means of getting the firmware into the device. For the Adafruit device I had, it has a 5 V-tolerant serial connection so a standard USB to serial dongle plugs right in. There’s also two switches on my device. To get into bootload mode, you have to push the one button down, hold it, and then press the reset button. Once you release the reset button you can release the other button. The red LED half-glows and the device is then waiting for a download. Apart from the harmonic drive, the engineering community hasn’t really come up with any clever mechanisms for speed-to-torque conversion in the last few decades. However, recently a few folks at SRI have given us one more transmission to drool over: the Abacus Drive. The Abacus Drive takes the standard concepts of a cycloidal drive, but takes the eccentric gear tooth pattern that we’re familiar with and converts it to two grooves in which an array of rolling spacers will ride. The benefit with this design is two-fold: it’s both constructed from entirely rigid components (unlike the harmonic drive), and it has a low-backdriving torque, enabling the application to more easily detect changes in load. Achieving an affordable low-speed, high-torque transmission has been a holy grail among roboticists, where every motor-driven manipulator joint becomes an engineering design headache where the designers fight their application’s backlash, torque, and price constraints to get a functional robot arm. This problem stems from the fact that motors just don’t perform efficiently at low-speeds, where the near-stall conditions cause them to draw vastly larger amounts of torque compared to their full-speed conditions. While the Abacus Drive isn’t hitting the market anytime soon, we’ll let this idea stew in the community and hope to see some budget variants pop up in the near future.